revolution to Opel’s transmission production activities. They question basic principles, increase the innovative power of a company, and shape the industry’s future. We will introduce PhD candidates researching their topics at Opel (and their contents) in an occasional feature series. Currently there are 23 students working on their dissertations at Opel. Nils Willeke (28) is making his contribution to bringing about a fundamental shift in the current way of doing things – a revolution. It involves neither violence nor political upheaval. Nonetheless, it will move mountains. 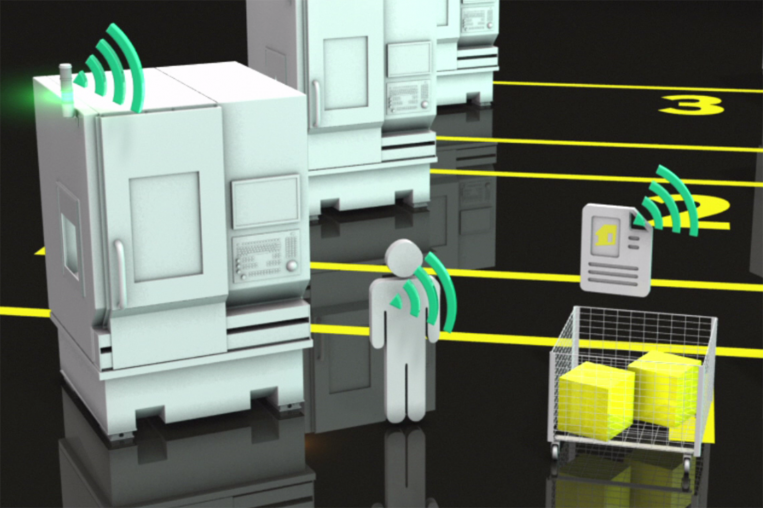 The fourth industrial revolution is set to individualize mass production activities. Steam and water powered the machines of yore so they could churn out products in grand style, forming the basis for the first industrial revolution. Electricity and assembly line work established the pillars of the second revolution, which was superseded by electronics and IT that further enhanced industrial production capabilities. Now, we are watching the fourth industrial revolution unfold before our eyes thanks to digital technologies, creating a fundamental shift. Whereas the first through third industrial revolutions optimized the production machinery, the approach now is the polar opposite. The machines no longer manufacture the product; the product informs the machine how it would like to be produced and is in control of the process. Simply put, Industry 4.0. 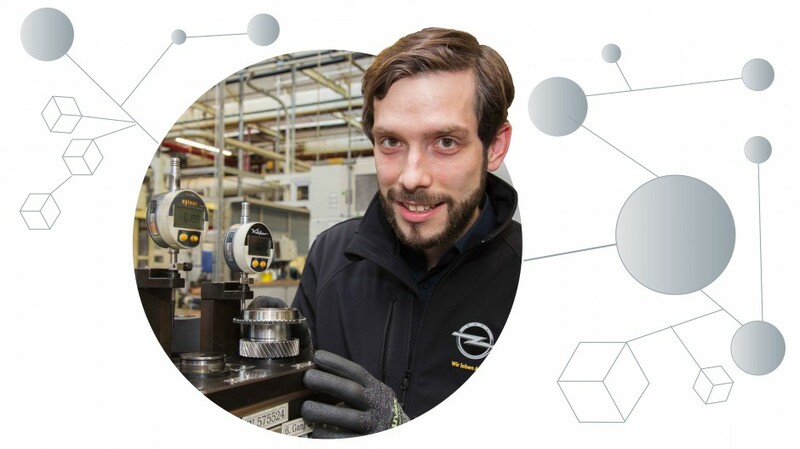 It’s a wide field to research and Nils Willeke is tackling it for his doctoral thesis in Opel’s transmission production. 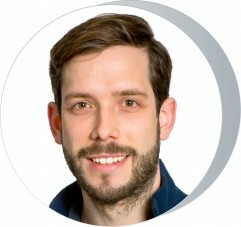 His research project bears the title ‘Intelligente selbstorganisierende Werkstattproduktion’ (or Intelligent Self-organizing Workshop Production), which Willeke is working on with Opel’s guidance. The rigidness involved in the sequences of assembly line production has been eliminated (see graphics 1–3 here). Production gains flexibility, opening the door to the emergence of new production concepts and new ways to manage production. 1. The individual work steps are connected in a rigid manner in traditional assembly line production. 2. This rigidity is eliminated in workshop-style manufacturing, making production more flexible. 3. An order will be able to use a multi-agent system in the next stage of innovation to autonomously control its moves through production facilities. 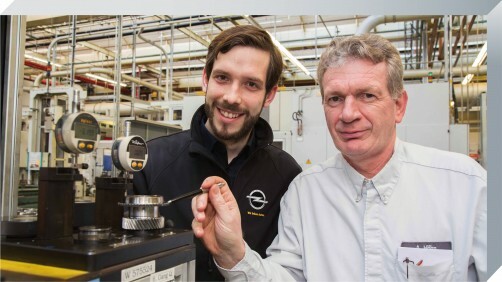 Nils Willeke earned a degree in mechanical engineering and then joined Opel in September 2013 as an intern. He proceeded to earn a master’s degree while working at the company, and now, as a PhD candidate, he has been working in Advanced Manufacturing Technologies (ME S&P) under the guidance of Dr. Petra Krammer since October 2014. Nils Willeke’s dissertation deals with the application limits of control principles within workshop-style production activities. His advisor at Opel is Dr. Benjamin Kuhrke and Prof. Uhlmann from the Technical University Berlin is acting as his academic advisor. His dissertation paper aims at developing a way to mix the centralized approach toward managing production with a decentralized aspect. Gear production at Opel is the focus of Willeke’s attention. One of the main questions he’s attempting to answer is the role of people within this process and how people can be integrated into the control process in particular. According to Willeke, “It’s a main focus of Industry 4.0, as well.” People continue to play a vital role in production processes in the workshop. In and of itself, the machinery is not capable of intelligence, and it is especially not fit to manage manufacturing. The machines only become able to organize themselves once they are programmed with complicated control algorithms such as software-based multi-agent systems. Orders can be processed using the currently available machines and employees who can execute the individual work steps in this decentralized approach. “Even 30 years ago, they were performing research in this field, but there has been no real breakthrough with real-world application despite several positive results that have emerged,” explains Willeke. Gear production at Opel is the focus of Nils Willeke’s research. He’s being helped by Albert Höhn, Plant Manager of the transmission plant in Rüsselsheim. His dissertation paper is investigating the impact that the design of the structural parameters in manufacturing have, which means the number of machines or the setup times and factors such as interruptions, on the performance of control algorithms. Willeke would like to derive application limits for these multi-agent systems from his research work in order to better determine whether they are suitable for use in transmission production. Willeke will be able to simulate 20 production days in his academic research paper to test the limits of the multi-agent systems. The final phase of his experiment has begun. He has been working on setting up his investigation for one and a half years, and aims to complete the dissertation by the end of 2017. Gear manufacturing at Opel has already bid farewell to the rigid style of assembly line work, now implementing flexible workshop-style production using islands instead. Nils Willeke’s dissertation paper could one day prove to be a substantial contribution to managing how to have orders control ‘themselves’ employing these structures.